Hello, first of the month again.... how did that happen? So that means another challenge at A Little Bit Crafty, yay! The theme is Flower Power, so easy peasy! I went for a little chipboard hanging. All of the materials I used for this came from a little package of goodies sent to me as a challenge- I love the colour of the dusky pink card. 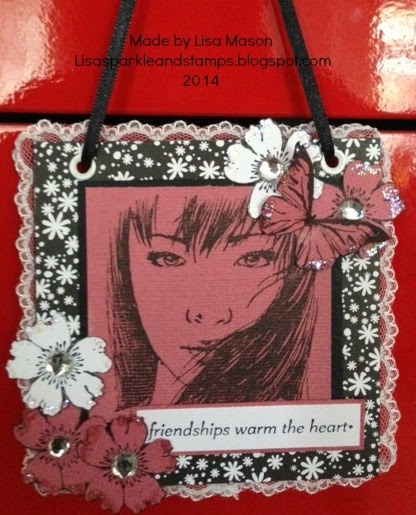 The stamps are from Innovative Stamp Creations.